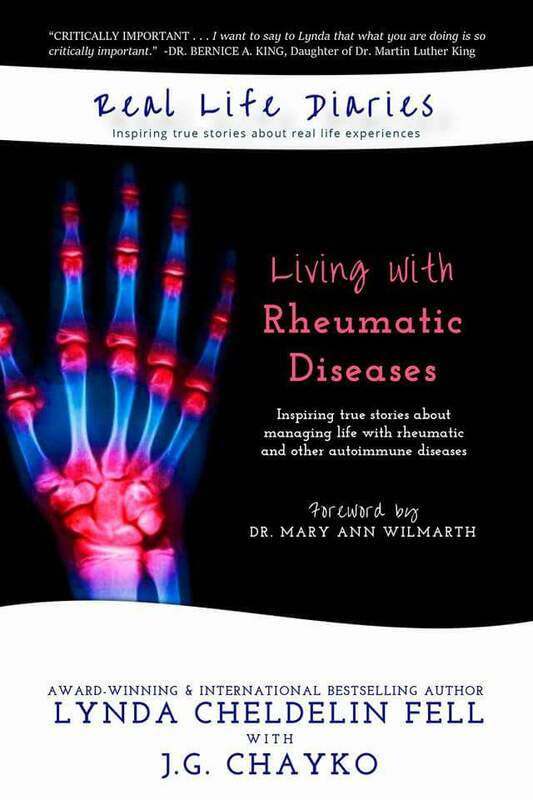 The first time you hear the words “Rheumatoid Arthritis” it’s a shock. Even after a few years of living with the diagnosis, the words still hang in the air, sizzling above your head like the lingering buzz of electricity. A diagnosis of RA, or any chronic illness, can be challenging and bewildering – new medications, new routines, and new adjustments take time to navigate, and it takes work to figure out how to fit it into the life we shaped. I had a lot of questions in the wake of my diagnosis. What did this mean for me? How would it change my life? How do I adjust? What, if anything, do I have to leave behind? I was haunted by these questions, so I started blogging about it. At first, the words looked naked on the page. There didn’t seem to be any value to them. I never thought about an audience. I didn’t think anybody would see my words, and if they did, they probably didn’t care about them. Then one day, there was a comment. It was a woman from Florida who saw my post and was excited to meet another writer with RA. I continued to blog. Another person connected with me. Then another. Blogging became my public journal for empowering myself and through that journey, I discovered community. There are a wide range of chronic illness communities. They can be found in person, online, in magazines, books and blogs. They provide a platform for sharing our experience and connecting with others. They offer us a place to learn, find inspiration, heal and gain encouragement. They embody a diverse group of people dedicated to advocacy and living the best life they can in the face of disease. My RA communities are mighty resources for learning and sharing our stories. I formed new friendships. I read about and celebrated triumphs and setbacks. I learned to see my life through different eyes. I began to appreciate the power of words, and how they motivate, heal, inspire and illuminate. One day I woke up and realized it was five years later. I’m still discovering answers to my questions. I’m still telling my story as it evolves. Our stories make us stronger. They depict hope, pain, struggles, determination, strength and triumph. They help us look beyond the barriers and connect us with those that “get it”. They offer the hand of new friendships. They shift our perspective on life. They teach us the value of every experience – what I may view as trivial is a grand epiphany to someone else. That’s the strength of story and community. 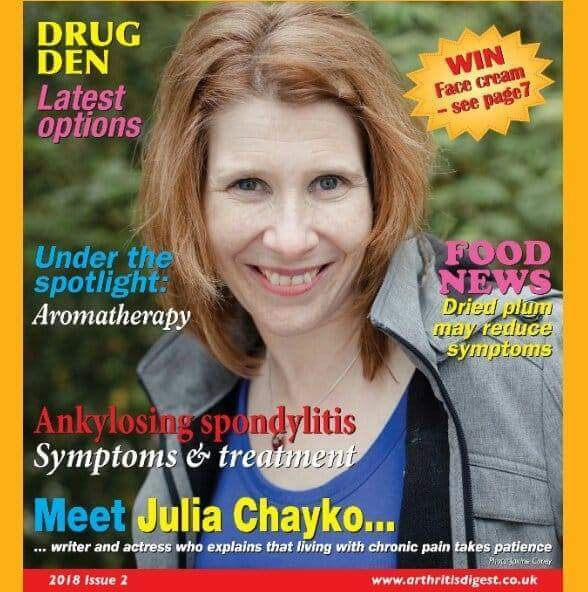 Contributing my story to this beautiful publication with a group of brave and inspirational people living with disease. Writing my story was not only a way for me to manage my disease, but by connecting with community it encouraged me to spread my wings, take chances, and turn a simple outing into a lasting journey. Some of my favorite communities: Creaky Joints, Arthritis Care UK, Arthritis Research Canada, Canadian Arthritis Patient Alliance, Arthritis Consumer Experts, Arthritis Digest UK, Grief Diaries/Real Life Diaries group of writers and publishers – there’s a few more, plus all the individual blogs of people I have met over the years that would take days to list. Just know, you continue to inspire me every single day. You inspire me J. G. !! I was diagnosed last Thursday, April 19, 2018. I know nothing but the pain in my right hand. The doctor gave me a pamphlet on RA and a handout on Methotrexate. I started Methotrexate and folic acid on Sunday. I feel like I have the flu from the medication. I am completely overwhelmed! Scared….. I am so sorry to hear this. Certainly a new diagnosis can be overwhelming. It will take time to learn how to manage. I hope you have a supportive medical team that will help you over the hurdles. I sincerely hope you find some relief soon. Best, J.G.